CAFE ALTURA ORGANIC FREEZE DRIED DECAF INSTANT COFFEE is an exclusively sourced blend of organically grown 100% Arabica Coffees selected from three continents. It is freeze dried by an exclusive certified organic process to maintain the taste and aroma of real coffee. All coffee is grown sustainably by indigenous growers who form the basis for Fair Trade exchange. 3.5oz Organic Decaf Instant Coffee has been added successfully to your wishlist. INGREDIENTS: Arabica coffees from Indonesia, South America, and Central America. I gotta tell you - I’m normally not a fan of decaf coffee. When I tried this one It took me by surprise because I actually liked it. I didn’t notice a difference in the taste when compared to the regular coffee that I get, and that says a lot because I love Altura's regular instant coffee. In my family we’re not big on instant coffee. We always thought that the taste got lost in translation so to speak, but with Cafe Altura, everyone in my close family was blown away by the taste and they would never guess it is instant coffee. Who would have thought that you can get this goodness in decaf and that is just outstanding! Buy this coffee; this is the best decaf coffee I have ever tasted in my life, hands down. Yes, I know...instant...decaf...the best??!!. It sounds strange, but I am willing to bet my guitar on it and I love my guitar. Anyway, it started way back when I discovered Altura’s organic instant regular coffee. I had been living with drip machines, k-cups, presses, etc., but I was sick of the cleanup and maintenance that come with all the traditional brewing methods just to get a good cup of coffee. I wanted something quick and easy, so I went instant. The problem before I discovered Café Altura was that I could not find an instant coffee that tasted like "real" coffee, let alone fit my organic lifestyle. One day last year at Earthfare, I found Altura's regular organic instant. I spent the extra money (which to me is not a lot) and I was hooked. It tasked like actual coffee, it's organic, instant, and I can get a nice lift off it :). That being said, the search was on for a decaf equal. 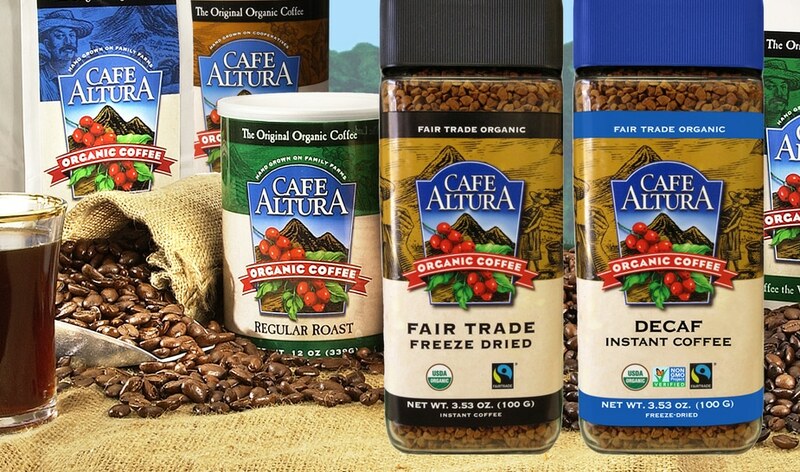 At the time, Altura did not have the decaf instant organic available. I tried other brands and they all tasted like, well, you know, that unpleasant instant taste. Then I heard a rumor - that ended up being true - that Altura was going to release an instant organic decaf and I quickly jumped on it and got some. The rest is history. I love it. Listen folks, the decaf tastes just like regular coffee and just like the regular instant!! They both do and I can't figure it out....it's organic and an enigma to me. This is how it stands now: I drink the organic regular in the daytime and the organic decaf at night. I primarily drink coffee at home as I work at home, BUT my overall coffee experience is so complete with this coffee that I go to Starbucks just to get hot water in a cup and bring my own Altura Instant. The only thing I have to consider is the time of day. Do I bring regular or decaf?! I suppose that is a good problem to have. To wrap up this review, try the instant organic decaf coffee (and the regular version if you have not already) and leave these folks at Altura a great review. I need you too because I want to drink this coffee for life. *Note If you are on the fence, consider this your nudge...you can thank me later. My husband tricked me by giving me a cup of the organic decaf instant coffee and I thought it was regular coffee. It tastes just like the organic regular version, which tastes just like "real" coffee. Great work Altura, you have a loyal customer!